Impact Link aims to offer emerging social enterprises a world-class package of support to help increase business resilience and sustainability. With help from the Scottish Government and local and international partners, Impact Link provides social entrepreneurs with funding, learning programmes and opportunities to develop and connect with peers in Scotland, to enable their social enterprises to become more sustainable. 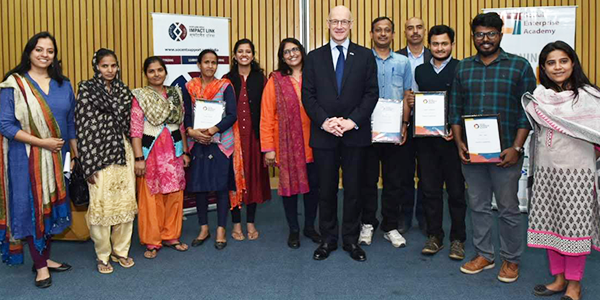 In December 2018, Deputy First Minister of Scotland, John Swinney, met the first five Impact Link fellows during a visit to Delhi. Speaking in Delhi, Mr Swinney said, "Scotland has a great reputation for supporting and developing social enterprises and it is our responsibility as good global citizens to share that expertise. Social entrepreneurs have the power to transform communities as many enterprises focus on early intervention on tough issues. I am proud that the Scottish Government is able to support them. There is also much we can still learn, especially in India where social enterprise growth has been rapid in recent years and the challenges faced are very different to our own." Representatives from five companies that received funding and mentoring during the first round of the programme were present at the event in Delhi. Eshan Sadasivan, CEO at Prosoc Innovators, which develops products to support people out of poverty, explained that the support the company received during Round 1 helped him understand how to be a better leader and improve as a Manager. Khwaab Welfare Trust, which provides support to low-income women, used its Round 1 funding to double the number of women it could train, helping them and their families, as well as to sustain its operation. Read more about Mr Swinney's visit to India here. After the success of Impact Link in India, emerging social enterprises in Pakistan and China will now have access to this world-class support package. 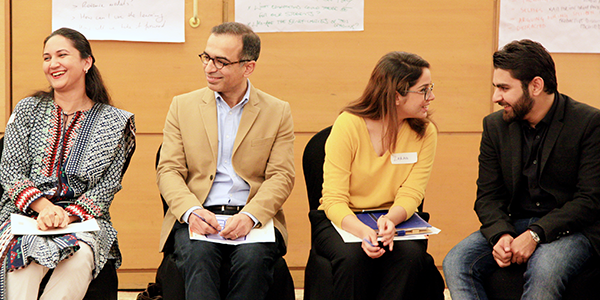 Impact Link is delivered in Pakistan by SEED Ventures and Social Enterprise Academy Pakistan, led by SEA International CIC as an initiative of Scottish Government. Stage One applications are open until 28 December 2018 with 20 finalists and 5 fellows to be chosen in 2019. 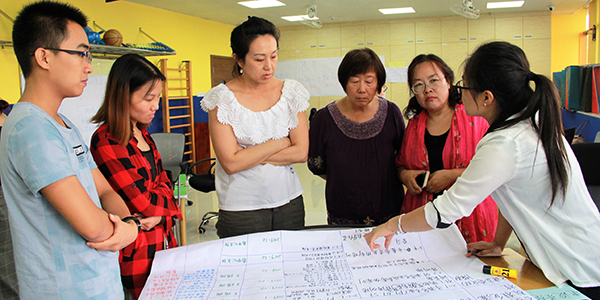 Impact Link is delivered in China by Capacity Building and Assessment Center and Social Enterprise Academy China, led by SEA International CIC as an initiative of Scottish Government. Applications have now closed for round one, with 20 finalists and 5 fellows to be announced early 2019. Visit the Impact Link website to stay up-to-date on the latest news and opportunities.